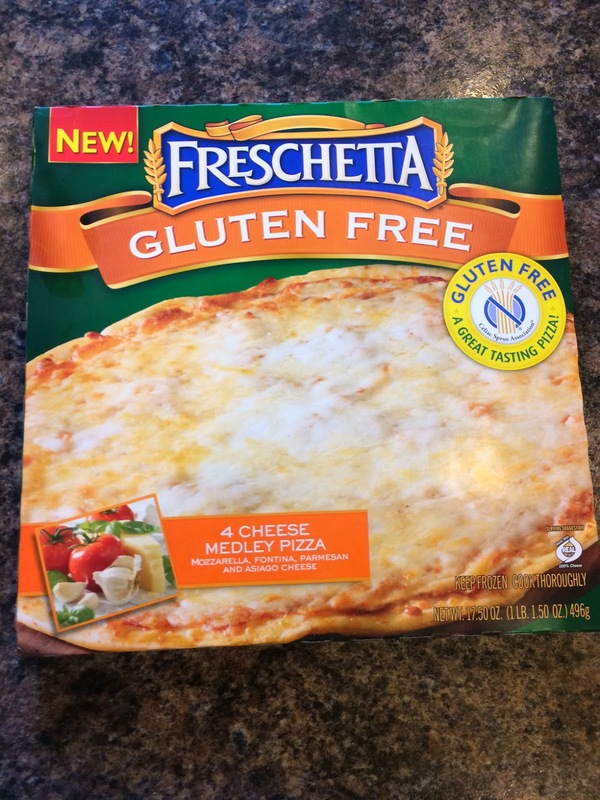 As a member of BzzAgent, I have received a free Freschetta Gluten Free Pizza for free, to try and then review. From what I understand, those on a gluten free diet, are not allowed anything made with wheat, which includes pizza dough, until now. Now Freschetta has come up with a way for people who want to, or have to, live a gluten free life, to still enjoy a slice of pizza. Because who doesn't love pizza right? I am definitely someone who loves pizza, and I can even do thin crust, since yes it is slightly healthier! Unfortunately, though, this is the first free sample that I have not enjoyed. I was excited about trying it, because duh, it's pizza, but was not too thrilled when I took my first bite. Like I said, I'm not on a gluten free diet, so I'm not used to having these types of products. Maybe they all have a slightly off taste, since they can't use the normal ingredients. First of all, I noticed that the pizza was really greasy, which I thought was odd for a frozen one, and one that was suppose to be healthy! Then the taste after the first bite wasn't good. I tried a few more bites, and maybe because I was hungry, it got a little better. I only ate two slices though. My youngest, tried it and pushed her plate away, while my oldest ate almost a whole piece, but said "Mommy, I didn't like that pizza", so it was a no go with them as well. Maybe if I was on the diet I would buy it again, just so you can add pizza to my day. Otherwise, I will never be buying this pizza again. It definitely was not a hit in my house.